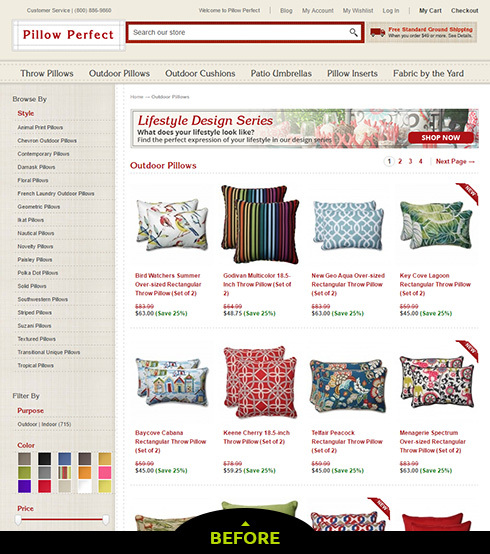 Pillow Perfect came to EYStudios in desperate need of a branding and merchandising overhaul. 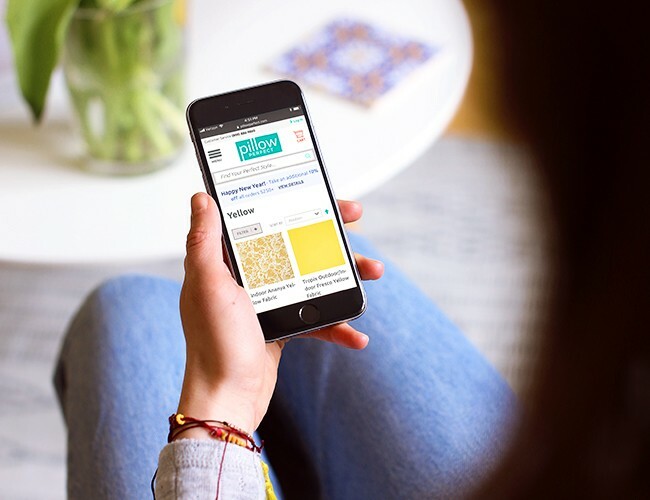 After re-thinking the navigation across all devices the results speak for themselves: an increased conversion rate and decreased bounce rate. 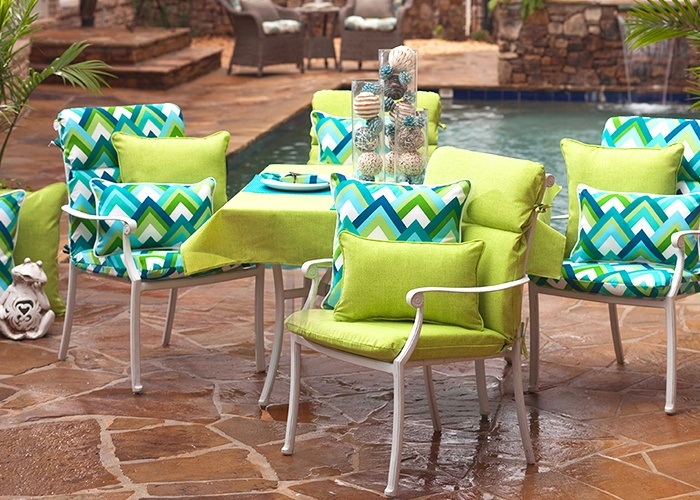 Pillow Perfect offers both Indoor and Outdoor/Indoor solutions. 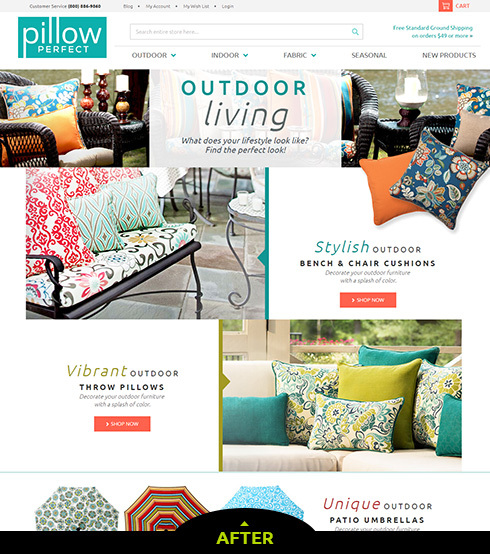 Because Pillow Perfect offers many styles in hundreds of different fabric options, the EY team was faced with the challenge of not only streamlining site navigation, but also optimizing the mobile experience. 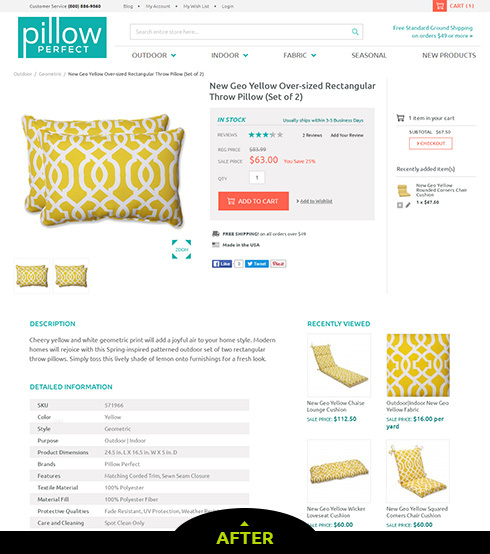 Additionally we worked to create custom Mega Menus as well as redesigning the item pages. 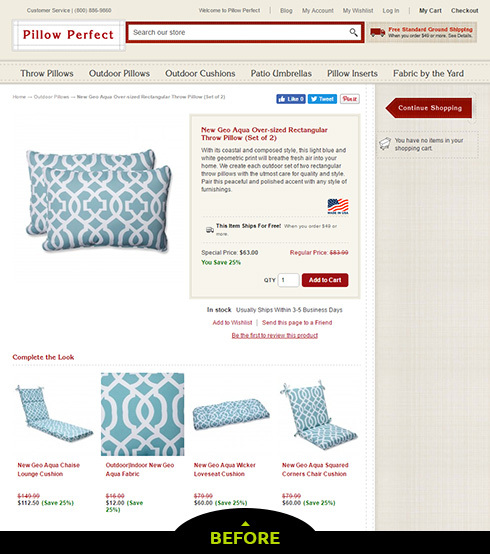 Pillow Perfect capitalized on their rebranding with new product tags, labels and marketing materials in conjunction with their Magento 2 Commerce site launch. 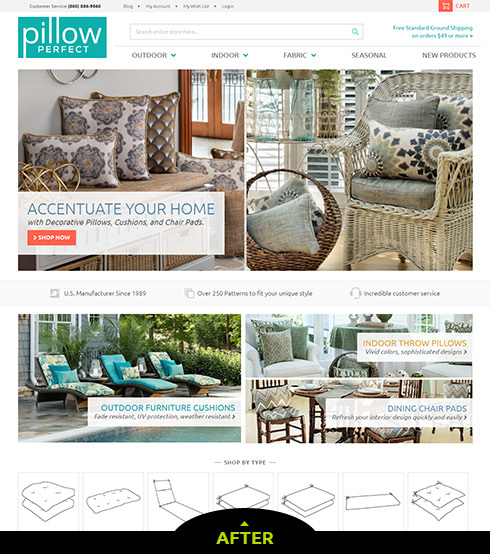 Pillow Perfect's re-platforming and complete site overhaul paid off. 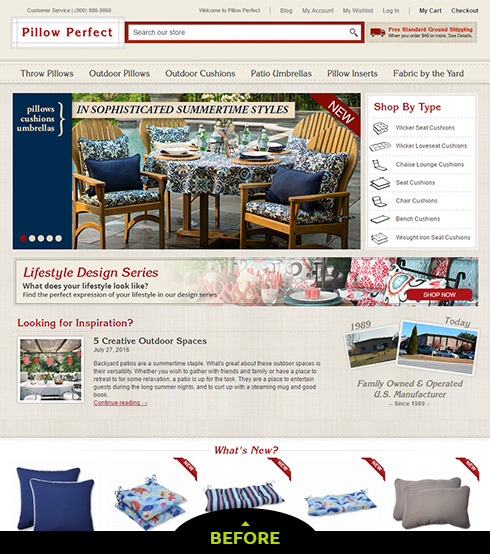 The pages that once confused users to the point of leaving the site were now operating at high efficiency and the increase in conversion rate reflects that.